“Pinky Memsaab” is now available on Netflix. The critically acclaimed film about two women from different class systems meeting in Dubai, has been released on the world’s most popular streaming service all over the world. 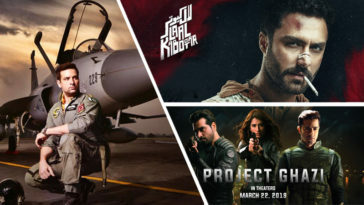 Shazia Ali Khan, the director of “Pinky Memsaab” while speaking to PakistaniCinema, revealed that the film had not yet released on Netflix in GCC (Gulf Cooperation Council) countries which include Kingdom of Saudia Arabia, Bahrain, Kuwait, Oman, Qatar, and the UAE. This is apparently because the film’s Arabic subtitles are yet to be finalized. Shazia expressed her enthusiasm about the digital release of Pinky Memsaab and Pakistani films in general which were “off the beaten track”. She opined that due to the relatively high ticket prices in Pakistan, audiences often choose to see star studded commercial entertainers instead of more artistic films featuring fresh faces. Digital platforms like Netflix would ensure that the latter would get “more eyeballs”. She also praised digital streaming platforms as launching pads for new talent; actors and directors who wanted to tell deeper, more personal stories. She appreciated the fact that dealing with distributors and exhibitors to guarantee a wide release was a task more Herculean than making the film itself. Here we remind you that Pinky Memsaab’s lead actress Hajra Yamin is nominated this year for Best Actress actress in the Lux Style Awards. A newcomer in the category which has featured Sohai Ali Abroo, Sanam Saeed, Amina Sheikh and Mehwish Hayat, Hajra might take away the silver trophy for her naturalistic performance. Previous article Sherdil’s video song “Crazy Crazy” will make you shun off your laziness and groove !